I should mention that delayed durability is not being used. The log writer invariably lives on core 0 of the first CPU socket. With modern multi socket hardware the terms ‘Socket’ and NUMA node are inter changeable most of the time. Does It Matter In Terms Of Performance Where The Insert Runs ? What do sys.dm_os_wait_stats and sys.dm_os_spinlock_stats have to say ? 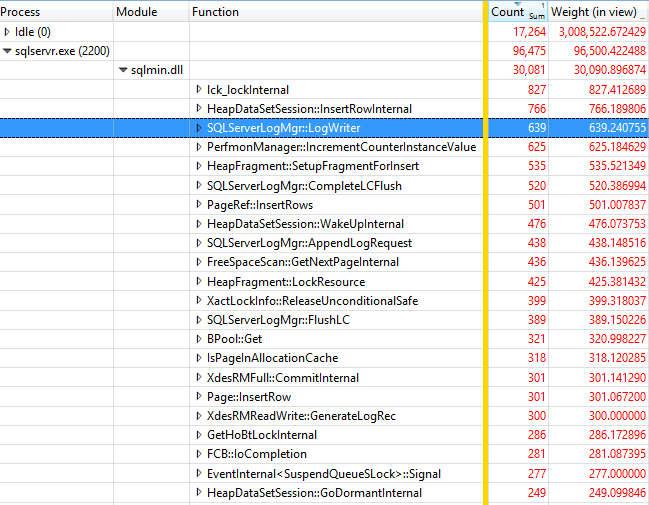 Once cache lines are loaded into the CPU cache they become cache entries. The log buffer and LOGCACHE_ACCESS cache entries are already in the L2 cache of the thread generating the logging information and therefore no travel is required at all. It has to travel from CPU core to CPU core via the L3 cache. this is when compared to running the two threads on different CPU sockets. 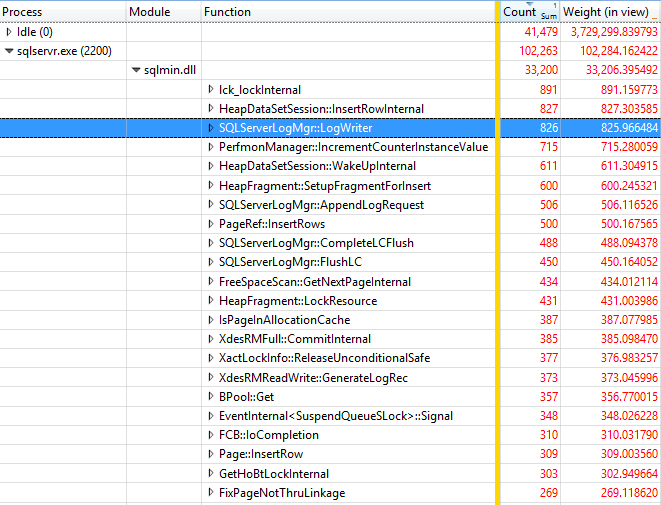 This illustrates the overhead in having more CPU cores and sockets, but why exactly ?. 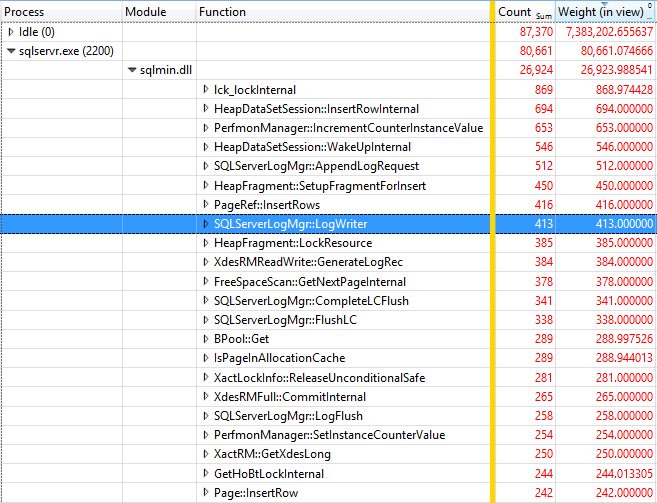 Note that in the second test the number of spins on the LOGCACHE_ACCESS spinlock goes up from 24,192 to 1,710,336. this is due the LOGCACHE_SPINLOCK cache entry having to travel across the level 3 cache from core to core, this takes longer than the cache entry being shared via the level 2 cache, hence the increased number of spins. 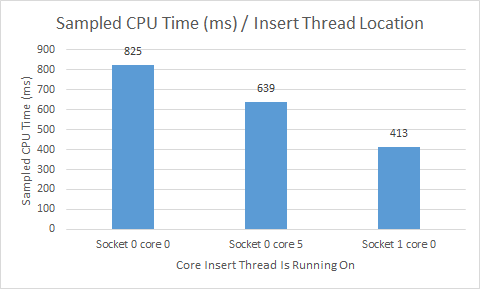 When the insert thread is on a different socket the overhead in the cache entry associated with the log buffer having to travel from CPU socket to socket via the quick path interconnect becomes noticeable which is why spins on the LOGFLUSHQ spinlock increase. We can see that when the insert thread is closer to the log writer, as per the graph above, it burns more CPU cycles because its being made to work harder, evident by the IO throughput graphs from earlier on. Processing without having to go off the CPU socket for data is the undisputed performance king ! But In A Previous Blog Post You Advised Taking CPU Socket 0 Core 0 Out Of The CPU Affinity Mask ? Yes I did, if you are experiencing a heavy amount of spin and back off activity on the LOGCACHE_ACCESS spinlock this advice still holds true, so far with the hardware at my disposal I’ve been unable to generate any pressure of note on this spin lock which is why I will be investing in new hardware next year. How Exactly Does This Help Me ? 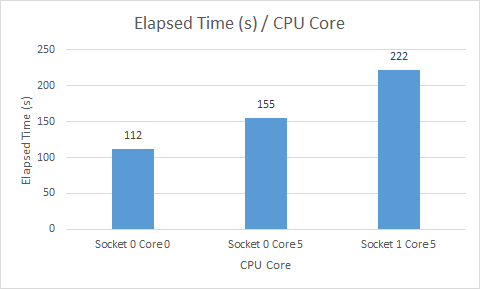 This test illustrates the performance penalty paid incurred by the log writer infrastructure when we go off CPU socket, the inference being that the best OLTP performance can be achieved on a single socket machine with the fastest clocked CPU cores available and a large CPU cache. 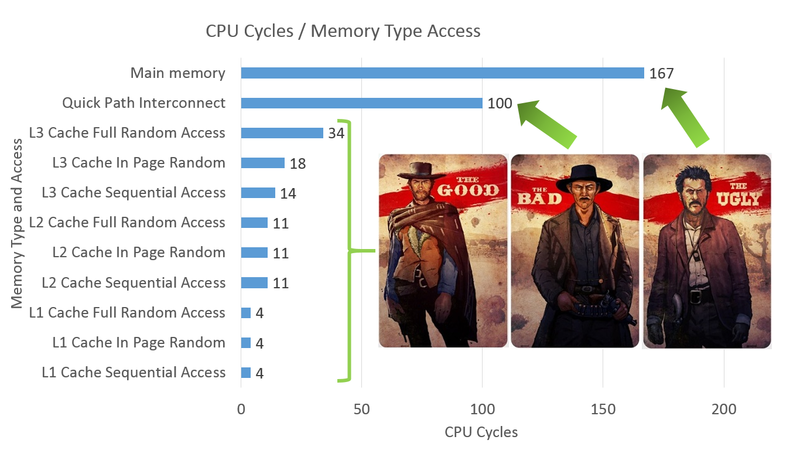 The perfect storm would be everything to run on the first CPU core of the first CPU socket, however this would only be practical for the smallest of OLTP workloads.